Private schools are still charging June July fees! Do we really live in a jungle??? Every mighty body is free to do whatever they want regardless of any moral or legal bindings even if it is supreme court. Now what? where common people will go to cry?? 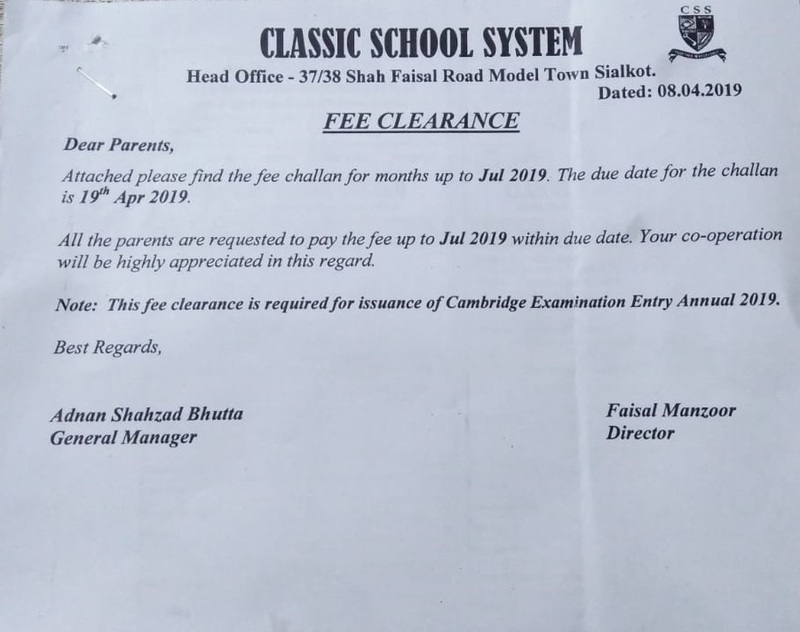 this fees and notice shows that they even did not obey the supreme court order to bring down at least 25% in total fees rather they blackmail parents to pay all four months fees at once within one week otherwise their children will not be allowed to sit in CIE exham. i dont know for what reasons admin deleted attached fees challan and notice. No they don't have the right. They lost case in court. i searched for the supreme court verdict against this school mafia BUT I FAILED TO FIND IT? kia judiciary b mili hoee hey? Why not? It is a private institution and they have all the right to charge. If it is too much to pay than move your kids to government school. Every private business is bound to follow the government and court rulings. "If private school cant earn money within rules, shut down the school, stop robbing people and find other profitable business"
They have become mafia due to lack of action from Govt. It's govt responsibility to keep a check on them but Sindh govt is partner of that mafia. Federal govt must intervene why always SC has to take action?